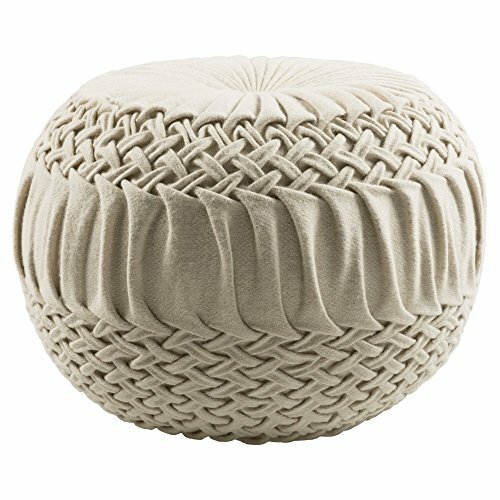 This adorably round Surya Alana Cubic Pouf is both decorative and functional. Crafted from a mix of textiles, it features a woven look and is available in multiple colors to suit your decor style. Place in front of a rocking chair, lounge chair, or any other seat in need of a footrest. Dimensions: 18 diam. x 14H in.. Polyester fill. Covered with fabric, nylon, and wool. Available in choice of color. Round-shaped pouf. Dimensions: 18 diam. x 14H in.